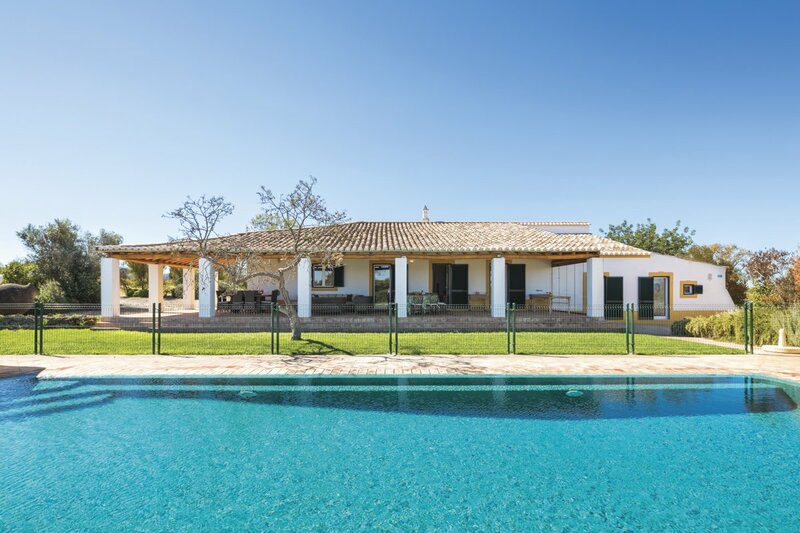 Villa Xoana is a haven of rustic luxury, in a secluded spot just moments from Carvoeiro on the Algarve coast, overlooking the Monchique mountain. 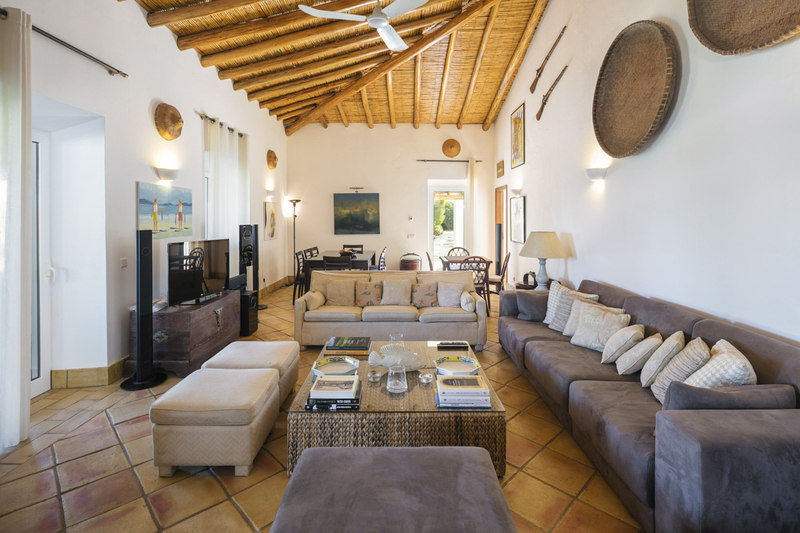 This home provides large-scale holiday accommodation, in an airy, lateral bungalow layout, with a farmhouse feel, finessed with all the hallmarks of luxury. 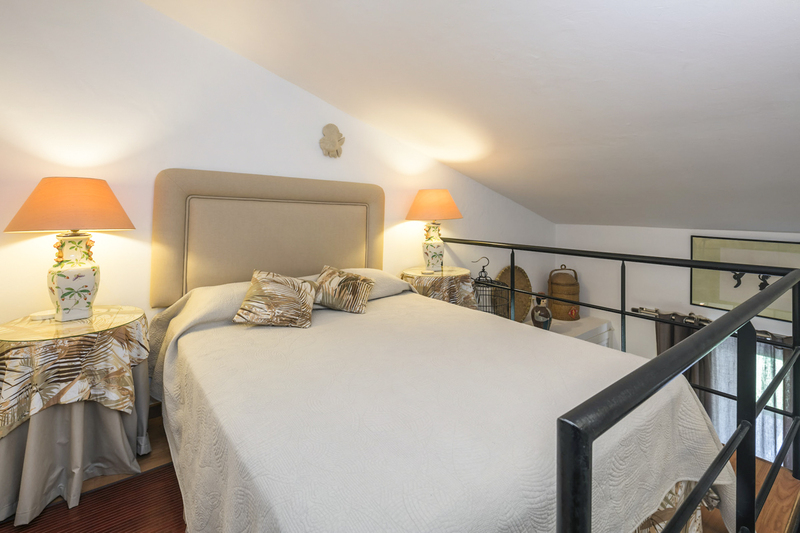 Fourteen guests can be accommodated across seven bedrooms. 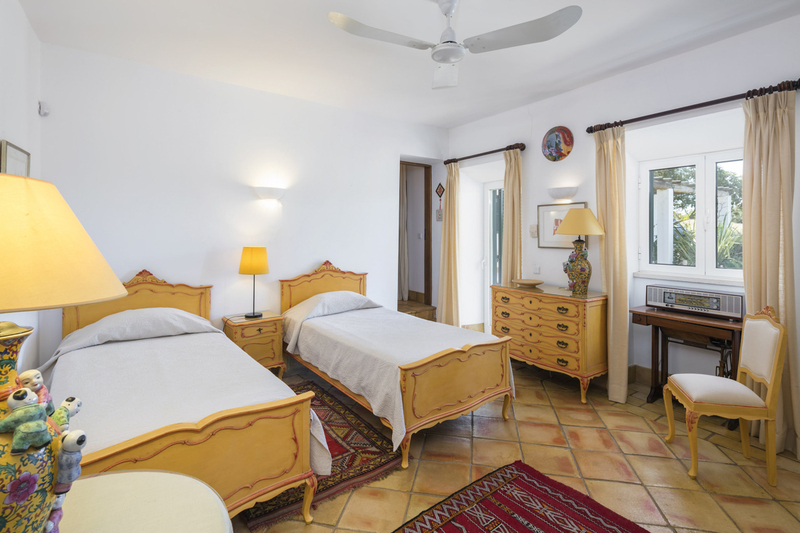 A perfect blend of traditional and modern, Villa Xoana is ideal for large families, travelling perhaps with grandparents or a nanny, or a couple of families travelling en masse. 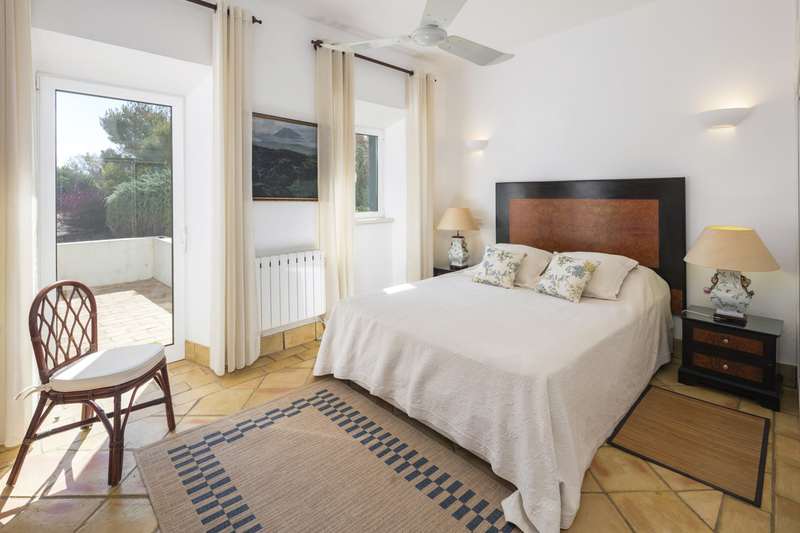 The villa has a “homey” feel to it while providing every comfort, in a rural location while being a few minutes from the amenities of Carvoeiro. Guests will enjoy arriving down the country lane to find this green oasis of tranquillity. 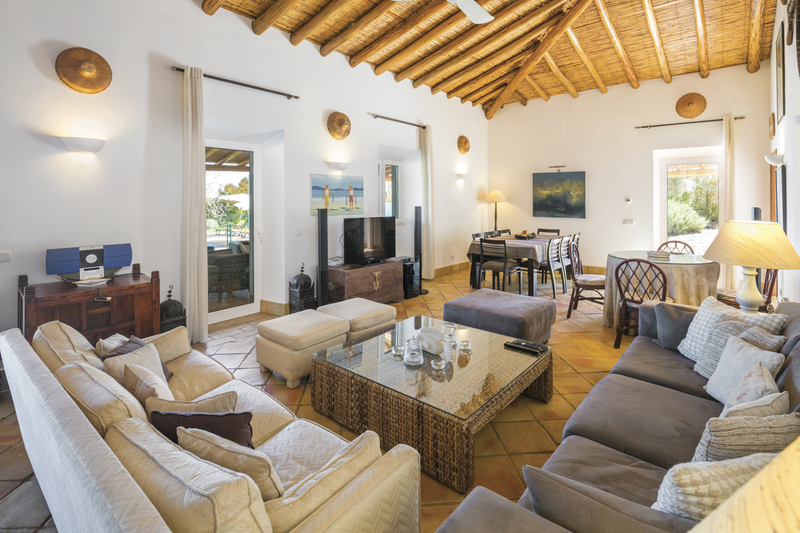 The living space is designed for large groups, with high ceilings featuring exposed sloping timber in keeping with the original feel of the villa, with large comfortable sofas. In the traditional style, the walls are very thick, keeping this home cool in the summer and warm in winter. 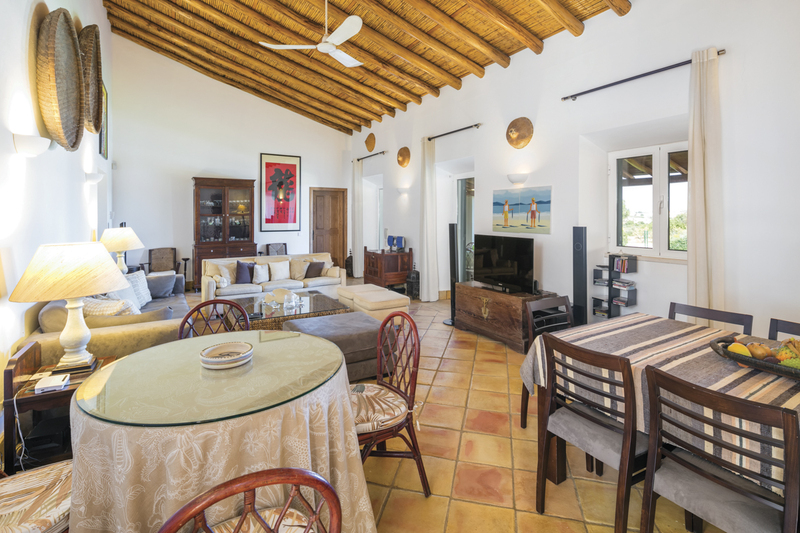 The dining spaces form part of the open plan living tone of the villa and create ample opportunity for sociable holidaying within a group. 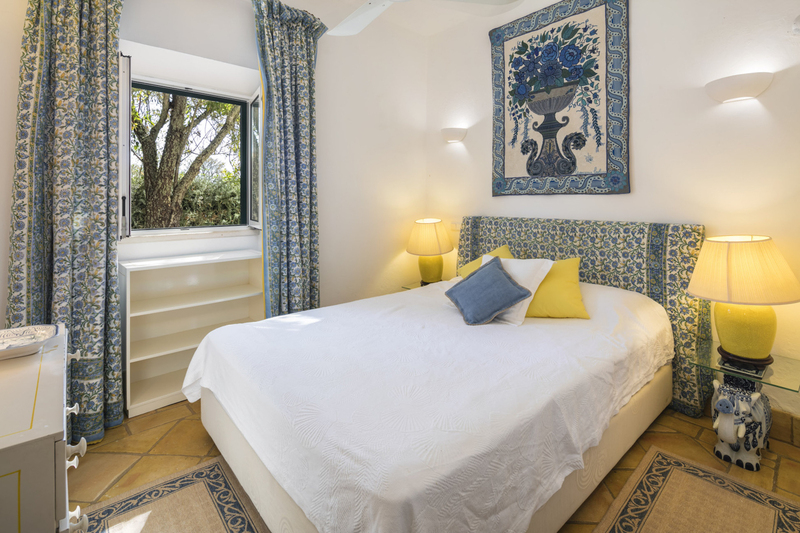 The whole villa has a beautiful informal feel to it; guests will immediately feel at ease, enveloped by the warm Portuguese colours and furnishings. 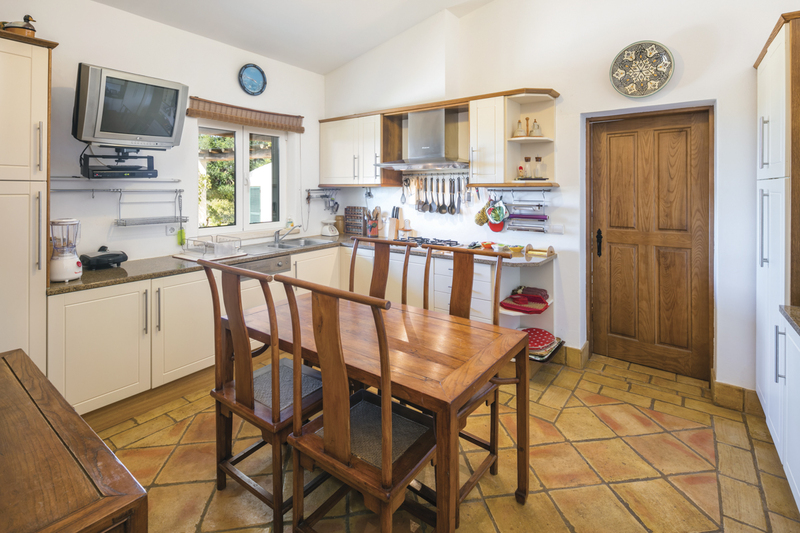 The kitchen retains the farmhouse feel while having all the necessary appliances. There is space for children meals or breakfasts and snacks. 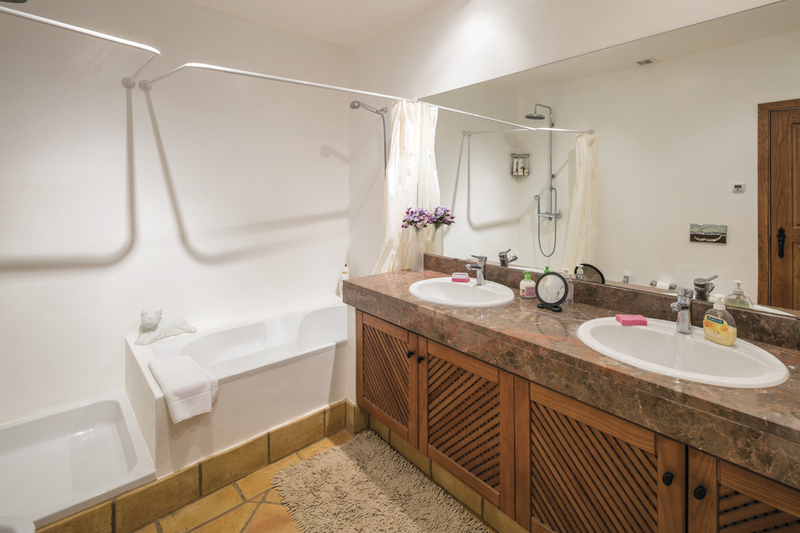 The rustic charm runs throughout Villa Xoana with its whitewashed walls, traditional tile flooring and exposed wooden ceilings. 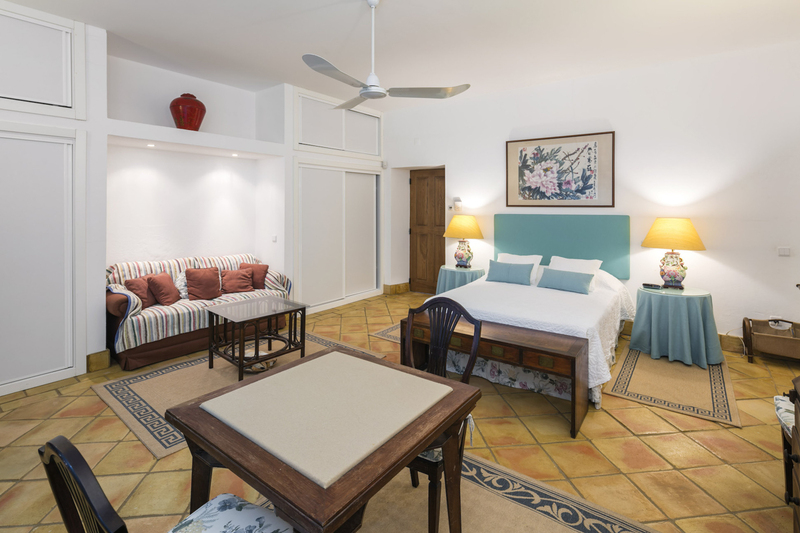 The bedrooms are all thoughtfully finished, with touches of character: each one has its subtle colour scheme, both elegant and unimposing with pretty accents of colour, local fabrics and high-quality lighting and linens. 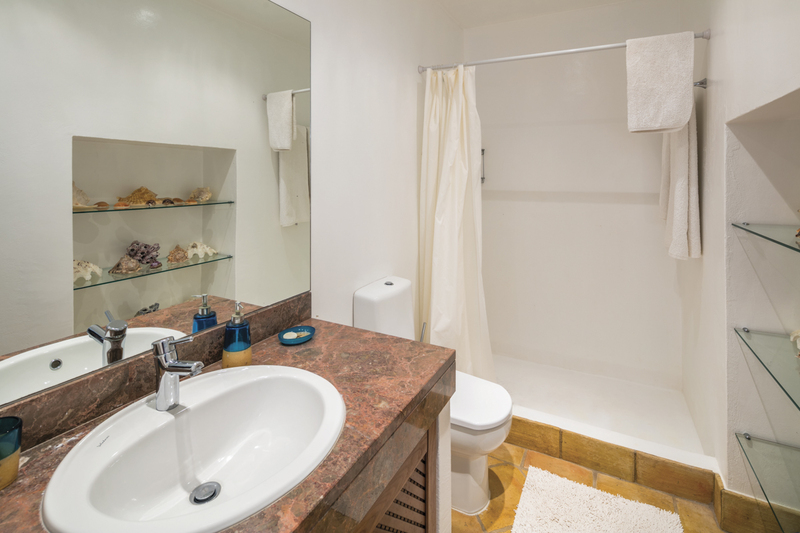 Guests will enjoy these quiet rooms; their calm aura sets the scene for a restful break. 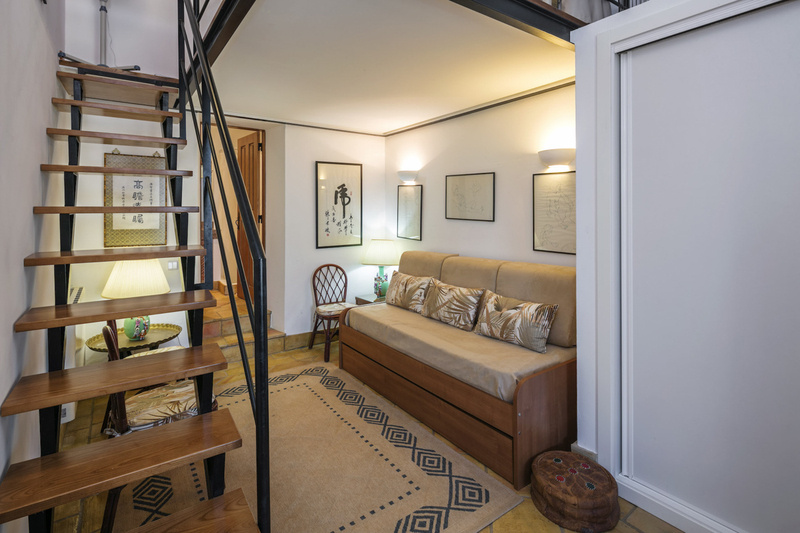 Canary yellows, sea blues, deep ochres - this home is finished with flair and personality. The gardens are lovely; mature lawns surrounded by fragrant flowering plants, palm trees and far reaching country views. Guests will enjoy their morning coffee and fresh local bread on the pretty, shaded veranda area, while evening meals will be splendid for groups, as the sun softens over the mountain view. The large, open lawn is safe and offers ample space for the group, while the pool is very helpfully fenced off, providing a large sun-deck and lounge area. 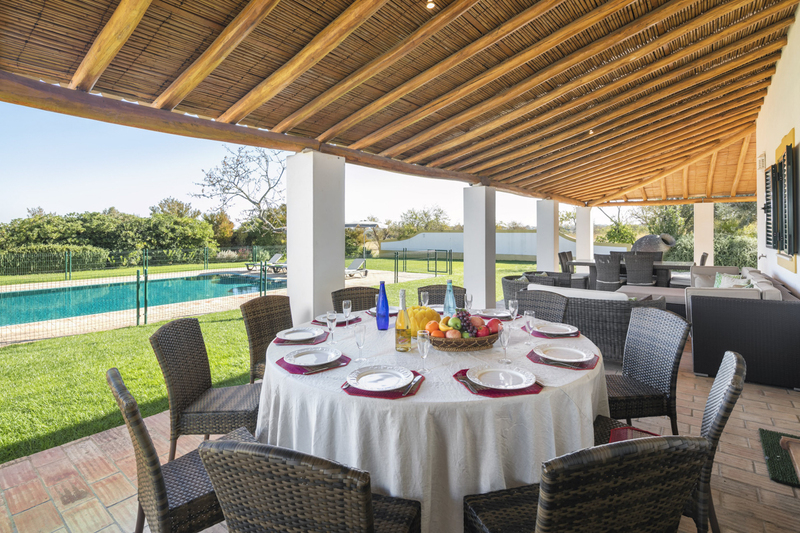 Guests will particularly enjoy the barbecue, reclining as the sun goes down, with a glass of local wine and grilled catch of the day! 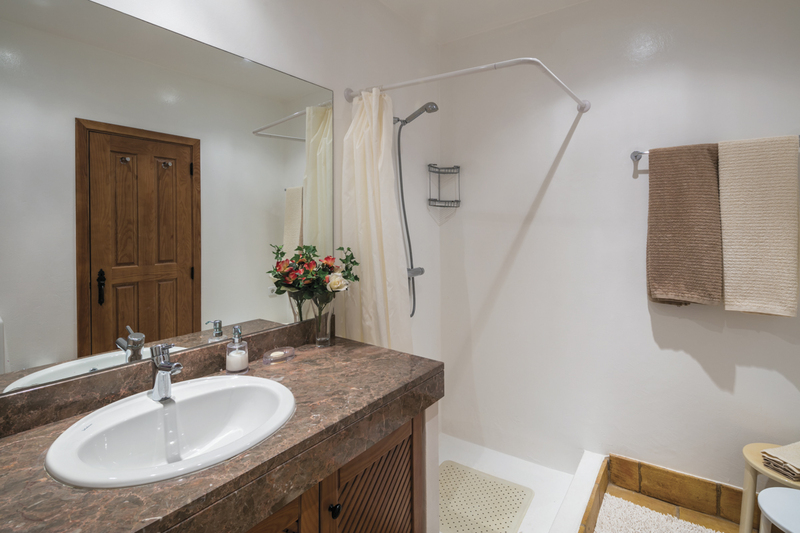 There is an outdoor shower, for an added touch of ease. 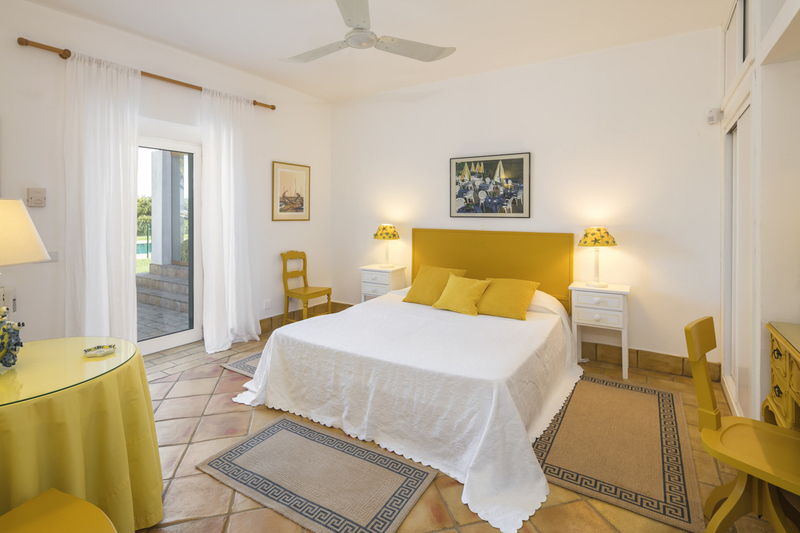 Villa Xoana is just a few kilometres from Carvoeira, which was formerly a traditional fishing village. Today Carvoeira is a picturesque resort town, situated on the dramatic Algarve coastline which boasts an array of golden beaches. The city retains its traditional small-town feel, full of Algarvean character and charm, it is known for its fantastic beach, Praia de Carvoeiro. Boat trips to the Benagil Cave is a fantastic activity for the whole family, while the surrounding region offers historic towns, hiking trails and ample opportunity for water sports. The coasts and cliffs along the Carvoeira stretch are amongst the most beautiful and dramatic that the Algarve has to offer. For a day trip, Silves is a delightful, traditional Portuguese town steeped in Algarvean culture and history. Once the ancient capital of Algarve, today Silves is a vibrant tourist town that maintains its original feel. There is something for everyone in the Carvoeira region. Golf players or those who love water sports won’t be disappointed, while culinary enthusiasts can take advantage of the many restaurants offering fresh seafood and other delights. For those who wish to venture further afield, day trips to Albufeira and Loulé are worth considering. Boat and coastal tours offer a leisurely pace for exploring. Whether it be pretty historic streets and traditional plazas, a business golfing trip or a culinary adventure, this corner of Southern Portugal has it covered.